The formation of toxic in body creates fatigue, depression and negativity. One cannot concentrate on work due to toxic in the body. One does not like to go to office due to toxic in the body. Children do not like to go school due to toxic in the body. If there is black spots increase on palm then one might face disease. If there is broken line below the Mercury finger then toxic may affect liver and stomach. Toxic stored in body due to pollution. 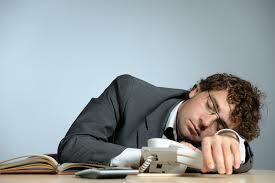 Fatigue increase due to toxic in the body. Spoiled food affects the health. If there is a broken line, as shown on the above figure, then toxic may affect liver and stomach. Toxic may increase negativity in the body. Toxic can be removed through fast. It keeps your body healthy. Mix lemon in lukewarm water and drink it. Do this during fast. Drink one small teaspoon mint juice with lukewarm water. This avoids toxic from the body. Drinking carrot, spinach and tomato juice avoids toxic from the body. Do vaman kriya to remove toxic from the body. Taking steam bath removes toxic from the body.